Stay connected, just Bopup me! : Structured Contact Lists, instant update of IM client settings... Meet new versions of Bopup IM software! Structured Contact Lists, instant update of IM client settings... Meet new versions of Bopup IM software! We are happy to announce that new versions of Bopup IM software have been released. These major updates both of the communication server and instant messenger clients bring all-new and powerful functionality which makes our software more better, handy and useful. There was very annoying question in our software: plain Contact Lists in the messenger clients. Yes, it works fine if there is a little amount of users on the messaging network. But what's about if there is 50, 100 or more users? 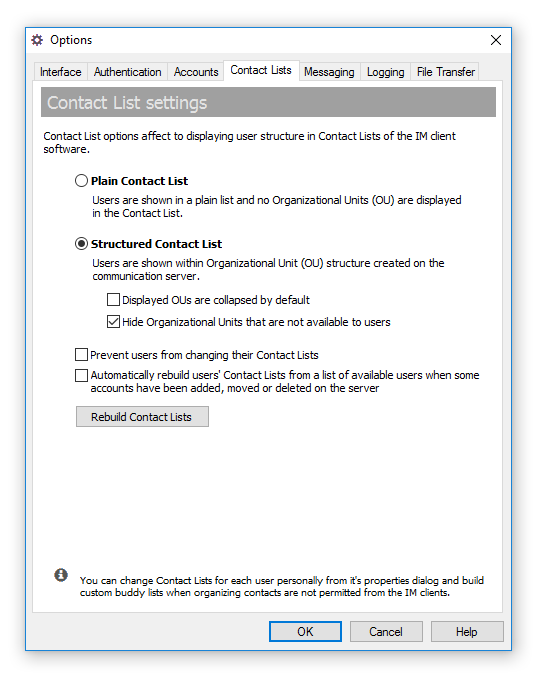 New version 4.1.0 of Bopup Communication Server added a new option that allows to deliver structured, tree-based contacts to connected users. Now users can be shown under their Organizational Units like you they are shown in Management Console on the server. Another important features is a delivery new and changed settings to the messenger clients without having to wait for a new release. Now client settings can be distributed to users "on-the fly" — on the next connection to the IM server. New versions of the messengers always check for updated settings once they establish a connect with the IM server and download a new set of options if it is available. Do you know about our Setup.ini Configuration Tool? Did you have a chance to use it? Forget about changing and modifying the setup.ini file youself to set the options for the messenger software. Because we built a great tool that let generate or edit existing configuration file through a graphic interface that is similar to the Options dialog of Bopup Messenger. Now this configuration tool is included to the communication server package. And it is also integrated to server's interface when you create and change IM client settings. Just click to edit the settings and the tool automatically uploads them onto the server. 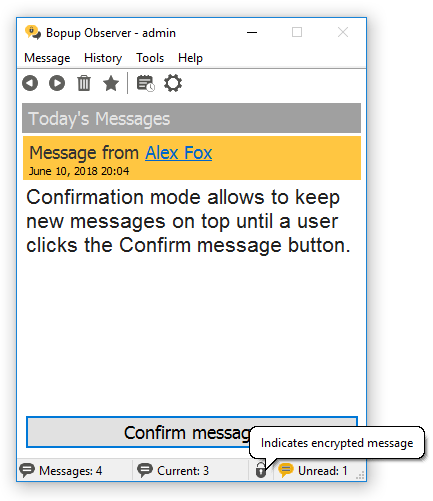 Bopup Messenger added a useful functions that checks and opens multiple sending dialogs in a cascade mode. This prevents a newly opened window from overlapping existings. Bopup Observer now shows a branding logo uploaded on the IM server in it's main window too. We added a "Today's Messages" title too (like in Bopup Messenger client) to have a space to get branding logo visible.